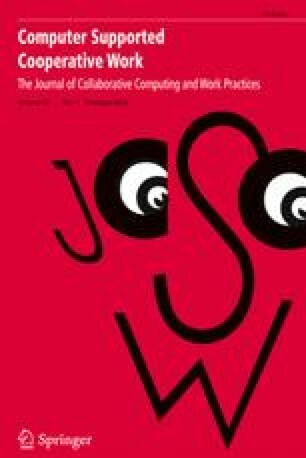 In this paper we explore the relationship between social learning environments and the technological ecologies that practitioners, learners, and researchers develop to sustain them. Through an examination of ethnographic research conducted at an urban after-school learning program we show how social, technological and power infrastructures influence learning and interaction in this setting. Adopting a holistic approach we examine how technologies are integrated into activities in this program to support the learning of the after-school youth. We emphasize both positive and negative infrastructures that contribute to the learning environment and discuss how identifying these infrastructures are one of the first steps towards understanding and informing technology design in informal learning settings. We are very thankful to the people at the after-school center, including its director and the youth who continue to take part in projects around informal learning. We also thank Mike Cole who facilitated the connection between university and after-school center (and continues to do so). This research was funded by the National Science Foundation (NSF) grant #0838330.